I'll start out with a shout out to Lynn Anne Miller (@4GreenPs) who made me aware of an interesting talk by David Edelman (McKinsey & Company) at the CMO Council on November 17. Edelman's premise - that the traditional sales funnel analogy is no longer valid in describing consumer behavior and should not be used to guide marketing strategy. I've been thinking about that a lot this year but couldn't come up with an effective alternative model. Edelman proposes a new model that's more akin to gin rummy. I'm going to amend that model and turn to the study of vultures. I'm not sure how many of us remember gin rummy. No it's not a variant of Angry Birds. In the classic card game you are constantly shedding low ranking cards and replacing them with higher ranking cards in order to create a more potent hand (a la poker) than your opponent. Edelman calls this the Consumer Decision Journey or CDJ. Whatever. That sounds a whole lot like corporate marketing speak to me, so I'll boil it down for you inbound marketers. The idea is that the entire B2C or B2B purchasing decision process has evolved into something much more dynamic than the traditional funnel. In the sales funnel [myth] we see a prospect entering our world via some form of attraction marketing, then migrating downward in a straight line through the funnel until he or she becomes a customer. Granted, a lot of them fall by the wayside, hence the shape of the funnel. In the CDJ or gin rummy model, consumers are constantly looking for the best cards, either from you or from someone else. When they get their best hand, they lay it down. I like this analogy, but it's not visceral enough for me. 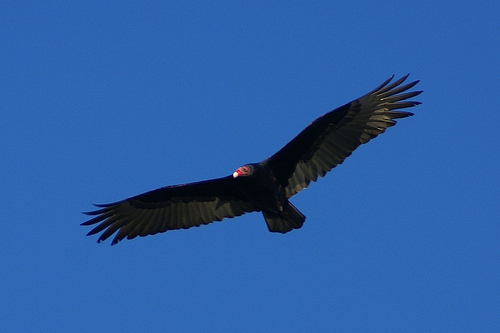 I think potential customers are much more like a vultures, circling overhead for new sources of nourishment, i.e. content and engagement. When the vultures spot what they want and sense no immediate danger, they land and do their thing. They work together and take cues from each other, like any other pack animal. To think that you can somehow influence a vulture to land on your outstretched hand is, thankfully, folly. What you need to do is study the behavior of vultures and predict where and when they will land, then be there to close the deal. The other thing that's clearly obsolete is the notion of inevitability. If we wait long enough, our leads will filter down through the funnel via gravity, and we can simply catch them in a net. Have you ever watched vultures? They circle forever, then, suddenly there is a horde of them cleaning your road from the latest roadkill. The thing is, vultures know exactly what to do and when to do it. We just assume it's random behavior governed by instincts, but is there more to it? So we have potential customers circling overhead and waiting for a meal. They will wait until conditions are favorable to descend. They talk to each other and compare notes. Our mission is to create favorable conditions, get their attention and invite them to land. To do that well, we need to get into their heads and try to understand what they want and what they fear. You can't do that without data. You must study your lead behavior in detail, watch their habits and draw conclusions about their preferences and habits. You can do this with advanced marketing analytics. Here's the thing. The real action is happening a hundred or more feet overhead, where the vultures are circling, not at lower altitudes where the old middle-of-the-funnel ideas reside. If you want to accelerate sales, you need to look higher up in the sky and watch the individual birds. Then you need to find a way to fly with them and earn their trust.